Work in the 21st Century ― How Do I Log On? The world of work is rapidly changing. 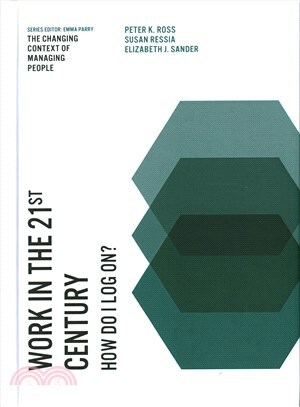 What then do 21stcentury workplaces look like, and what factors are supporting these workplacechanges? Globalisation, financial and labour market deregulation, and rapidtechnological advances have accelerated workplace change and skillrequirements. Organisations, for example, need to increasingly managegeographically diverse and technologically-mediated workplace relationships.Advances in artificial intelligence and automation are further questioning thefuture and nature of work itself. This book identifies and examines theinstitutions, frameworks and technologies that are emerging to support thesenew work practices. It analyses changing work environments, entrepreneurial andself-employment strategies, global virtual labour markets and the impacts ofdata analytics and automation on work practices and skill sets. It is criticalfor governments, practitioners and academics to better understand how toharness the benefits and meet the challenges of these new organisationalworkplace practices. Further, it requires informed choices and decisions on thepart of individuals, as they seek to log on to work in the 21st century.